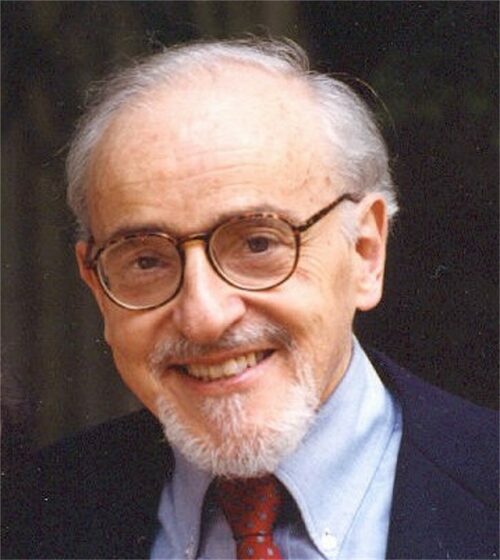 Robert G. Spiro, M.D. - Patient, physician, researcher, had type 1 diabetes for 60 years as of September of 2014. 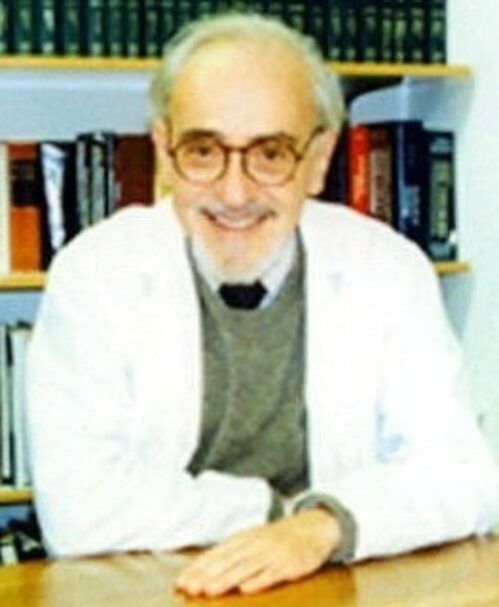 At that time he was awarded a Lifetime Achievement Award by the Joslin Diabetes Center not only for his successful management of his own diabetes, having none of the potential complications of that disease, but also for his pioneering work on the biochemical basis for the glomerular changes that lead to kidney failure in poorly controlled diabetes. Unfortunately, he was shortly thereafter diagnosed with stomach cancer and died in May of 2015, thereby being deprived of the chance to continue his personal experiment with controlling his diabetes for a few more years. Starting in 2004 when he received the Joslin 50-year medal he began detailing and then updating every few years his experience with diabetes, hoping that his story might be of help to fellow sufferers from the disease. Two websites were originally on Comcast.net until the company discontinued their sponsorship of webpages. I reproduce here two of these websites. Mary Jane Spiro, Ph.D., Robert’s wife for 63 years. (In the above picture Robert is wearing the Joslin 50-year medal given to him in 2004). When I was a senior in medical school in 1954 I noticed the pronounced weight loss, thirst, hunger and large urine volume which are characteristics of the onset of Type 1 diabetes and indeed when I tested my urine for sugar it was strongly positive. When I mentioned this to the Chief of the Department of Medicine he told me that medical students often mistakenly believe that they have the diseases which they are learning about. Unfortunately he was wrong in my case and I prepared myself to live with diabetes with a minimum disruption of my career; indeed I knew that I was fortunate that I had contracted a disease for which there was a rational treatment and about which even at that time a great deal was known. Moreover, diabetes was not a stranger to me as my maternal grandfather had become a type 1 diabetic shortly after the discovery of insulin. I am presenting my experience with more than 50 years of Type 1 diabetes in the hope that it may prove helpful and offer encouragement to others who suffer from this disease. In particular for young people who have just been diagnosed with diabetes and feel that the future looks very bleak, I hope to convince them that with proper care of their diabetes they can live long and fulfilling lives. I was familiar with Dr. Elliott Joslin's belief in the importance of good control, since I had written an honor's thesis on this disease as a medical student. Accordingly I right away embarked on a regime of weighing my food and taking multiple daily insulin injections (even though most doctors at that time still thought that tight blood sugar control was not relevant to the prevention of the diabetic complications). Fortunately, since my wife was a chemist we were able to set up a small laboratory at home and do morning blood sugars, long before the wonderful testing systems of today were available. This was also a period when it was necessary to boil glass syringes and sharpen needles, since there were no disposable ones at that time. For the last 9 years I have been on an insulin pump which has provided many practical advantages, besides bringing my HgbA1c levels into the normal range. The pump makes it possible to deliver insulin in fractions of a unit which is important for very insulin sensitive patients like me and moreover one can adjust one's insulin delivery readily on the basis of frequent blood sugar measurements. Fortunately, my early start on a strict management of my disease has enabled me to live through more than 50 years of diabetes without complications. The down side of this approach however has been frequent hypoglycemic (low blood sugar) reactions, which I consider a small price to pay for preventing the many serious complications of this disease, including particularly those of the eyes and kidneys. After medical school and a medical internship we came to Harvard Medical School with which I was associated for the rest of my career. In 1961 I joined the Joslin Diabetes Center and set up a laboratory which studied the kidney complications of diabetes and their relationship to blood sugar control. In 2000 on my retirement I was appointed Professor Emeritus at Harvard Medical School (Biological Chemistry and Medicine) and Senior Investigator Emeritus at the Joslin Diabetes Center. 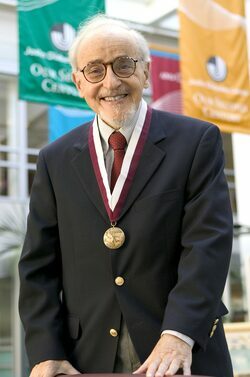 In 2004 at a ceremony at the Joslin Diabetes Center I was awarded their 50-Year Medal and I received the Lifetime Achievement Award from that organization in 2014 not only for reaching 60 years without complications but also for my research on the effect of elevated blood glucose on the kidney glomeruli. I wish you good luck in the management of your diabetes and a long life without the complications of diabetes. from Robert G. Spiro, M.D. Whether you have just been diagnosed with type 1 diabetes or have had it for some time, I would like to pass on to you some of what I have learned from living for 56 years with this disease without developing complications (see my web site link below "
Clearly, you can have a full, productive and long life if you learn how to closely manage your disease. This life will be more difficult in some respects than that of people without diabetes but I hope you will accept the challenge and persevere. Firstly, you have to convince yourself that it is important to strive for tight blood glucose control. When I first developed the disease in the 1950's most doctors thought it was not important to normalize blood sugar and indeed they were not convinced that there was a relationship between high sugar and the complications of diabetes which affect the kidneys, eyes and other organs. However, as a medical student and then intern in the hospital I saw several young women going blind from diabetes and a young diabetic colleague died from kidney failure. It seemed to me that the writings of Dr. Elliott P. Joslin of Boston were correct when they emphasized insulin, diet, and exercise and in particular that high blood glucose is related to the complications. Since under normal conditions the healthy insulin-producing cells of the pancreas (beta cells) keep the blood sugar within a very tight range, I felt that this must be important. Therefore, when I developed Type 1 diabetes as a senior in medical school I decided to attempt to keep my blood sugar as close to normal as possible and now fortunately most doctors encourage their patients to aim for good control. This concept is based on convincing studies with both patients and laboratory animals. A half-century ago there were no easy methods to test blood sugars frequently and so I had to rely on a tedious chemical test which required a relatively large amount of blood. Now, with a tiny amount of finger-tip blood, it is possible to do multiple tests in a day using the available measuring devices. This is very important when you aim for tight blood sugar control not only because you want to avoid elevated sugar values, but also because you have to learn to recognize the symptoms of hypoglycemia (low blood sugar). Indeed, if you have sugars in the low range (in my case below 60 mg/dl) you must quickly eat or drink something (for example, a modest amount of orange juice is most effective for me) so that you will not become severely confused or even unconscious. When you are feeling unwell during the day or night, do a test right away and if you are on the low side take something to normalize the sugar (you may wish to keep a source of rapidly absorbed carbohydrate on your night table). However, only a modest amount of carbohydrate-rich food is usually required; keep in mind that the symptoms of hypoglycemia do not go away immediately (recovery may take 20-30 min) so be careful not to eat too much so that you end up with a high blood glucose. That is why it is advisable to do the blood test again after that time so that you know from experience how much you have to eat. I know that you may feel like consuming a great deal of food when you are hypoglycemic, but this is not usually required and should be avoided. A fairly regular eating and sleeping schedule is also important. If at all possible, try to eat your meals and snacks at similar times every day, including weekends. Also attempt to follow a definite diet at your meals and snacks so that you know your intake of carbohydrate and protein. At first it is a good idea to weigh your food (excellent small digital scales can now be purchased online) so that after awhile you can estimate visually what you need to eat. Another factor which will make life easier for you is to keep a daily log in which you record your insulin doses, blood sugars, etc., so that you can refer to it at a future time. The best test of how well your blood sugar has been controlled is to have a hemoglobin A1c measurement made when you visit your physician as it gives you a reliable index of your average value during the preceding 3 months. It is important to keep the hemoglobin A1c value below 7.0 (normal values are 4.0 to 6.0). Also be sure to carry in a conspicuous place in your wallet a card indicating that you are a Type 1 diabetic, your insulin dosage, the name of your physician as well as that of a relative or friend to be notified in an emergency. Although for most of my 56 years of diabetes I took multiple injections of regular plus NPH insulin (3-4 a day), for the past 10 years I have been using a Medtronic-Minimed insulin pump with remarkable success. This pump has allowed greater flexibility than the multiple injections and moreover it allows adjustment of an insulin dose to 0.05 unit. Having the pump is particularly useful when traveling or eating away from home when the meal times are uncertain. In addition, exercise tends to lower your insulin requirement and to accommodate this the pump permits you to lower the infusion rate or to temporarily turn it off when you are performing unscheduled activity. Conversely, stressful situations such as studying for an examination or preparing for an interview may increase your insulin requirement and this can readily be attended to with an insulin pump after testing your blood glucose. If you are an insulin-sensitive person and need only a relatively small amount of the hormone (for example, below 25 units/day), it is advisable to use Novolog rather than Humalog since the latter at a low flow rate forms a precipitate which tends to clog the tubing. Indeed I noticed this phenomenon when my pump alarm system indicated "obstruction to flow" and similar occurrences have now been reported in the medical literature. Traveling overseas poses some problems that you should plan for. First of all, because of security regulations you need to have a letter from your doctor explaining what supplies (syringes, insulin vials, glucose meter, lancets, etc.) you need to have in your carry-on luggage. If you are wearing an insulin pump, instead of walking through the metal detector, the security guard will most likely take you aside to make a search. The change of time zones and the prolonged inactivity of the flight will require you to change your insulin schedule. Moreover, many people put out anti-insulin factors such as steroids when they travel through multiple time zones, requiring an increase in insulin dose which will go back to normal over several days. Therefore, extra blood sugar monitoring during and after the trip will help you evaluate your situation. I wish you good luck in your management and a long life without the complications of diabetes.